Buddha Statue Sitting In Meditation Pose Against Sunset Sky With Golden Tones Clouds. Lizenzfreie Fotos, Bilder Und Stock Fotografie. Image 115452579. Standard-Bild - Buddha statue sitting in meditation pose against sunset sky with golden tones clouds. 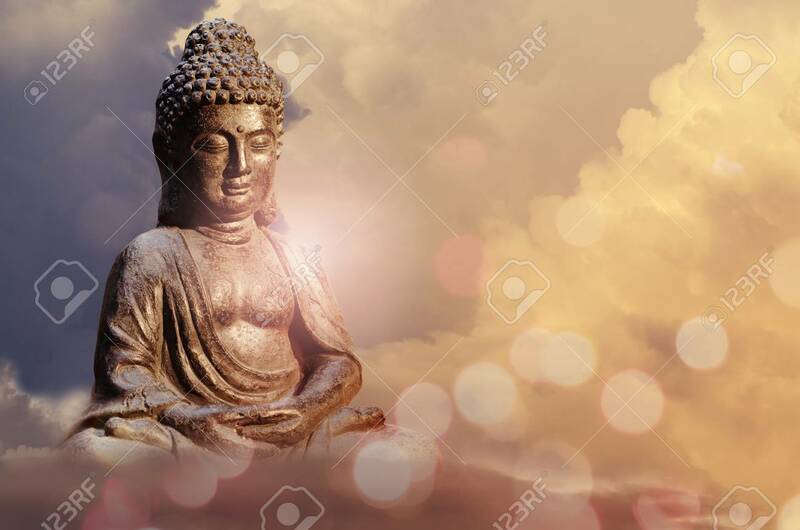 Buddha statue sitting in meditation pose against sunset sky with golden tones clouds.